No carbs involved! 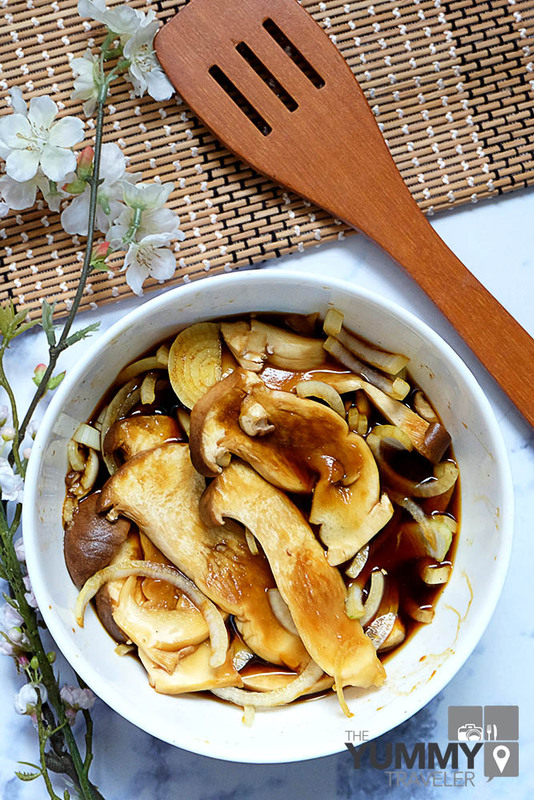 Let's try this super-easy healthy meatless dish ! If you following my instagram, you might notice that I have a big interest in healthy food lately. Clean eating was not easy, because you have to cut a lot-of 'indulging' things. But yeah, for me, since I'm eating-out a lot, it's hard for me to commit to eat healthy. But when I'm not going out, I'm trying to eat as raw as I can be. Pinterest and Instagram has inspired me a lot in inventing and discovering the world of food. 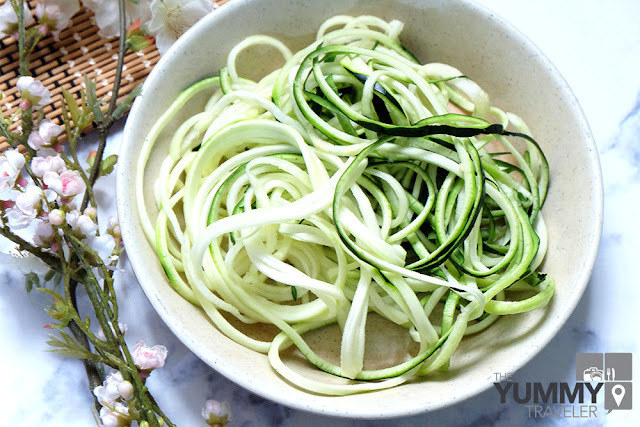 The recent invention is this magic tool called Spiralizer ! I've been eyeing a lotttt for this tool, and I can't found it everywhere around Indonesia, even when the last time I'm visiting Singapore! Then I just decided to buy it online, and I'm so happy that I get it ! 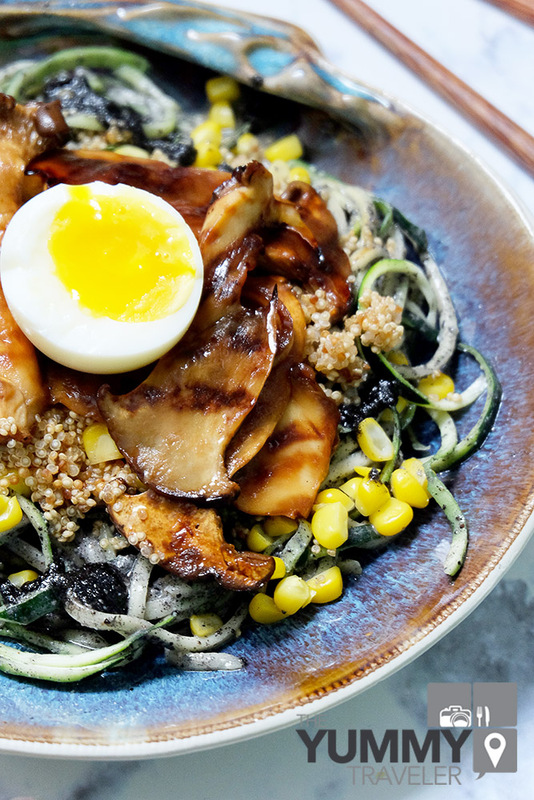 Zoodles is very trending lately. 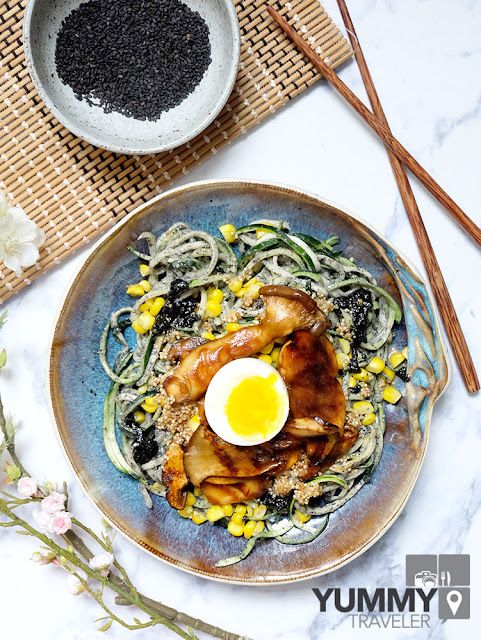 Zoodles is actually a slang word for Zucchini Noodles ! Lols. Can you imagine how many carbs in noodles ?? Every Indonesian lovessss noodle, including me. But, since I know noodles can cause gastric problem, I've been avoiding to eat it. Now, with Spiralizer, you can eat your 'noodles' but, still healthy because you replace it with your favorite veggies ! 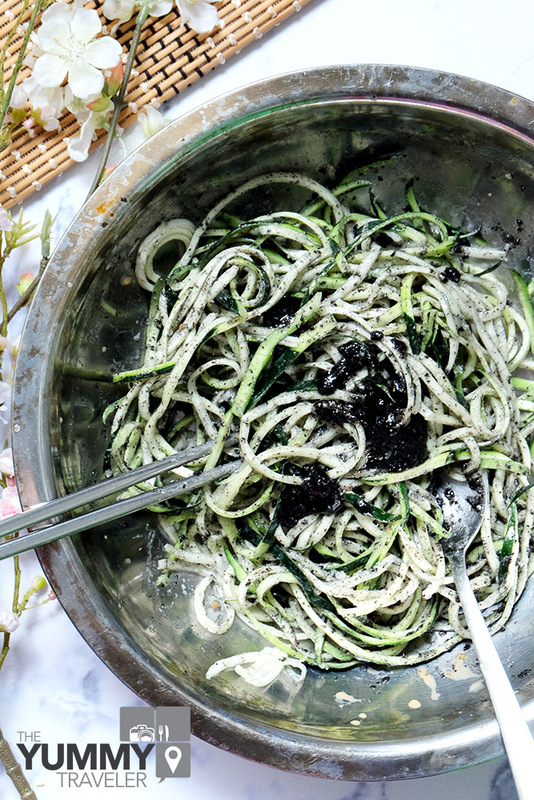 There's many ways of cooking with zoodles, but this time I'm just keeping it simple. Throwing everything that I have in a fridge and I hope you can try it too ! 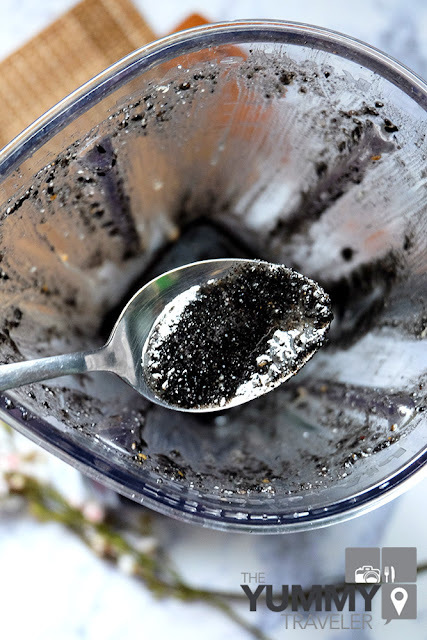 This time I tried to make homemade Black Tahini. Tahini is a Middle-Eastern condiment made from sesame. The black tahini was using black sesame, which I loveeeee. I made it with my KitchenAid Diamond Blender, and I love this blender! This blender has 5 types of blending, which you can use not only for juicing, but also, blending soup, sauces, chopping or even crushed ice! Don't worry this recipe is super easy !! And again, you can add another various topping according to your liking! 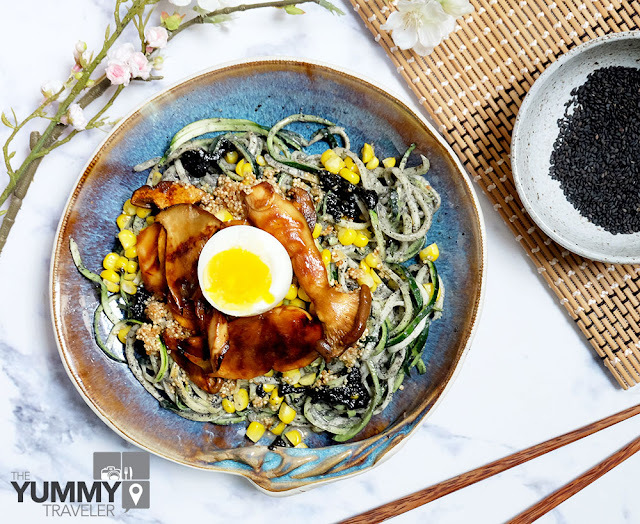 - Assemble all the ingredients in one bowl, and leave it for 30minutes minimum. - Prepare your grill pan, and lightly put some oil in it, on Medium heat. 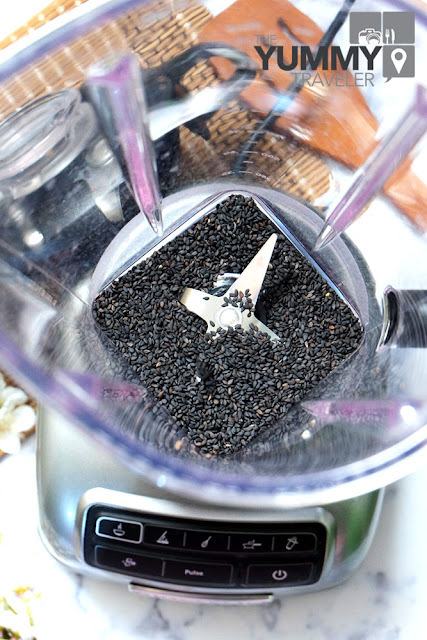 - Throw all the ingredients in your Blender or Food Processor, and blend until it turns into paste consistency. - Assemble your zoodles on your plate with corn, quinoa, soft boiled egg and the marinated king oyster mushroom. Add the rest of Black Tahini for more dressings. More Food and Travel updates ? Follow me on Instagram, Snapchat and Steller : @nvicl !